The same could be said for lip prints and shapes on clothing and accessories. It's a fun and flirty motif that can be applied to any outfit or style. Feeling bold? The primary-colored Au Jour Le Jour skirt is loud and cheeky, as is the oversized red snakeskin Lulu Guinness lip-shaped bag. Or, if you just want a whiff of sassiness, the Mallarino bracelet or DVF clutch would be perfect! 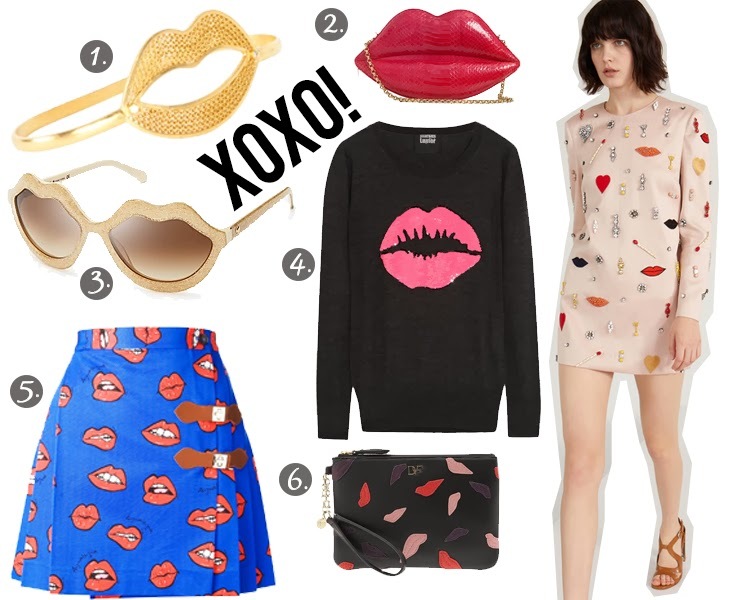 Either way, lip shapes are an awesome and fun trend to try out when wanting to make a statement. LOVE that Markus Lupfer Sweater! !